SOUTH PHILADELPHIA (WPVI) -- It does not get more Philly than this. 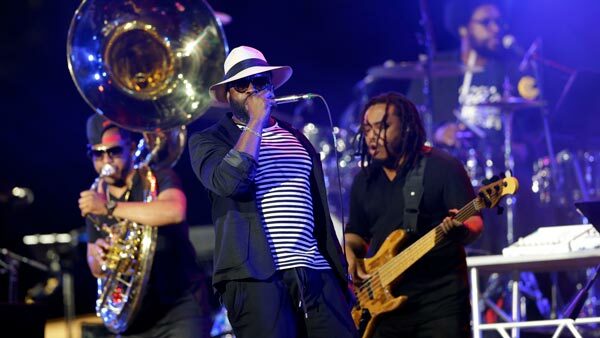 The Roots will be rocking Lincoln Financial Field during halftime. The Philadelphia band will be performing during the NFC Championship Game between the Eagles and the Minnesota Vikings. The Roots posted footage of their rendition of the Eagles Fight Song. The caption read, "All we got is all we need...and all we want is everything! Join us, @TheRoots this Sunday during the Half-Time Show for the NFC CHAMPIONSHIP!" The caption was repeating the message of the Eagles' "All We Got Is All We Need" hype video released a few days ago.